Need a treat to share with your sweetie on Valentine’s Day? Try this healthy, satisfying creamy chocolate pudding. Yes, pudding that has health benefits! Good fats are necessary for your health. Do not be afraid! Your body needs good fats to work properly and create healthy cells to keep you feeling fabulous. We are NOT talking about your basic junk chocolate you find in the candy aisle loaded with sugar and chemicals. 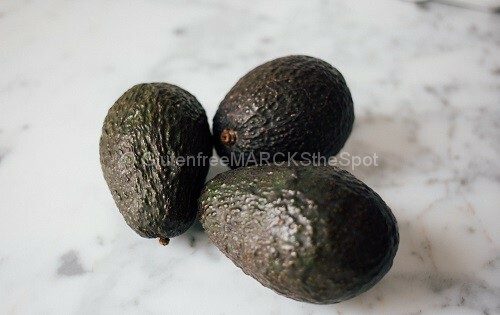 Good fats are those found in avocados, olive oil, nuts and seeds. Lovely avocados and dark chocolate are great additions to good nutrition. So, mix this delicious pudding up and feel good knowing that you are giving your body a healthy dose of love. 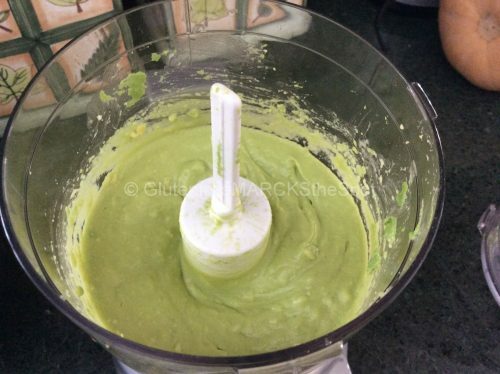 Prepare the pudding completely in the blender or cream the avocados in a food processor, then whisk everything together in a separate bowl. 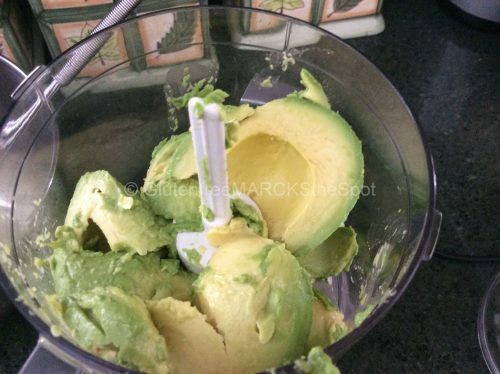 First, wash and cut the avocados in half. Scoop the flesh into a blender. Add a little of the milk if needed. 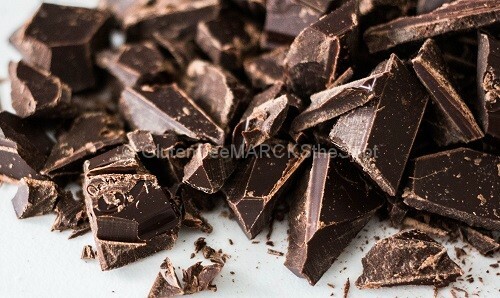 In a small bowl, place the chocolate chips with 1 T water. Microwave for about 20 seconds to melt, give it a good stir to cream the chocolate. 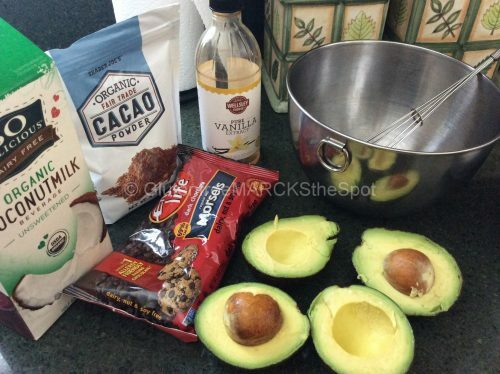 Combine the creamed avocado, melted chocolate chips, cacao powder, vanilla and agave/maple syrup. Either add everything into a bowl to mix by hand, or add all ingredients into the food processor. With the latter, you’ll need to stop and mix as you blend. Completely blend together. Slowly add the milk. A little less milk will create a thicker pudding, much like a mousse. More milk gives a creamier pudding. Mix until well blended. Refrigerate for 30 minutes to an hour before enjoying! Top with berries, shredded coconut or cacao nibs. 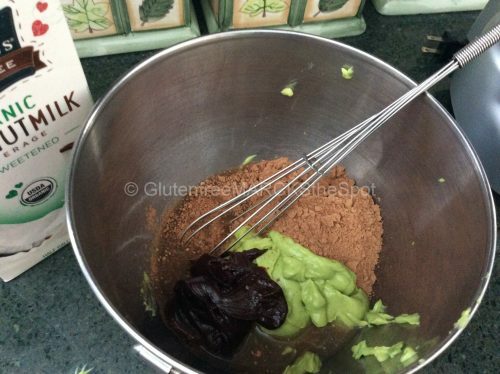 This is an easy and delicious recipe that makes a fabulous, healthy gluten-free treat for your loved ones! 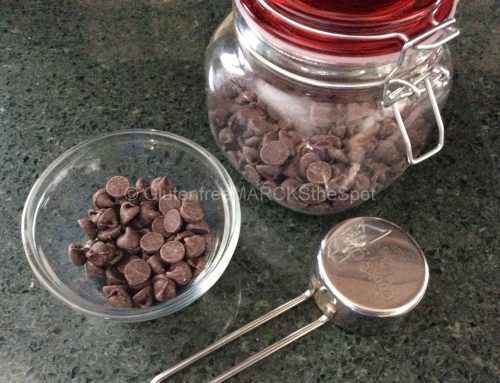 Melt the chocolate chips with one t. water in the microwave. 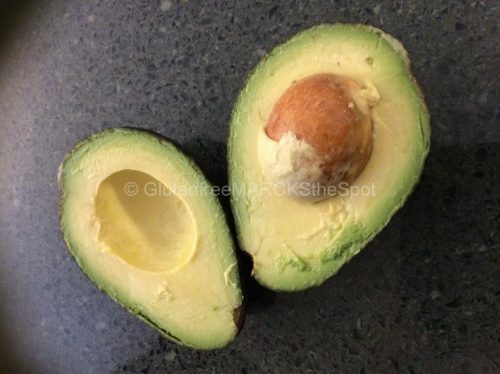 Wash the avocados, slice in half and scoop out the flesh. Then blend in a food processor or blender until smooth. Add melted chocolate, cacao, agave nectar and vanilla right to the food processor. Or, mix everything in another bowl. Slowly add the milk – add in more to have creamier pudding, less to have a thicker texture. Chill in fridge before eating. Top with chocolate chips, berries, coconut, or cacao nibs. 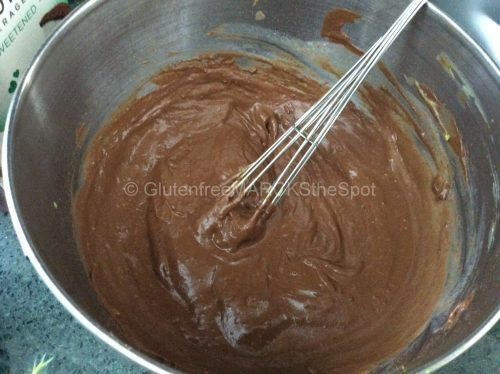 This recipe can be used to make chocolate frosting, simply use less milk to create a thicker consistency. 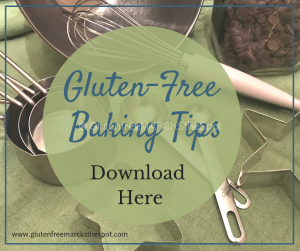 Don’t miss a new recipe or tips for gluten-free living by signing up for my Weekly Update. 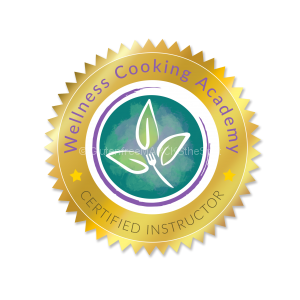 Sign up today and get 5 FREE Easy & Delicious Recipes you can make today! 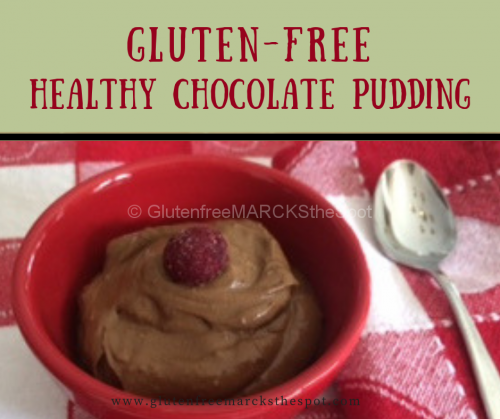 This entry was posted in Gluten Free Living, Recipes and tagged easyglutenfreedessert, glutenfree pudding, glutenfreehealthydessert, healthyglutenfreepudding. Bookmark the permalink. 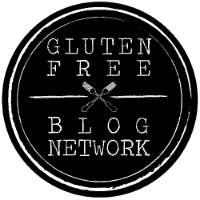 ← Ezekiel Bread: Safe or Not Safe for Gluten-Free Living? Very good written information. It will be supportive to everyone who employess it, including myself. Keep doing what you are doing - can'r wait to read more posts.